Stylecraft Cosy is Stylecraft's technical marvel for the season, Cosy is a super chunky yarn with an amazing meterage, it's lofty, air-jet spun and it only takes just over 4 balls to make a garment. 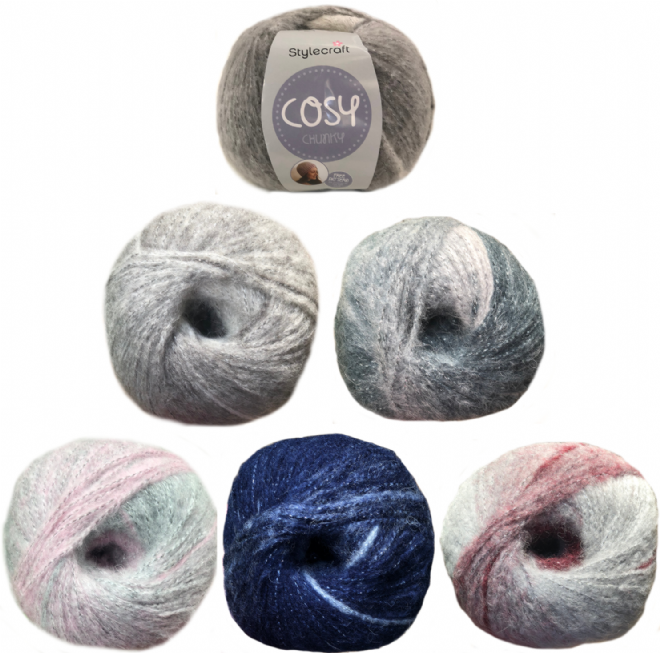 Cosy is a beautifully light blend of premium acrylic and alpaca accented with a subtle metallic thread. This yarn when knitted features contrast colour flashes for a unique effect.